There really is no better foundation for understanding history than reading source material. It is important to hear all the voices before condensing it down to the big picture. The Slave Narratives recorded by Franklin D. Roosevelt’s Work Progress Administration are a much overlooked source. Paul Graham has sorted through this database and compiled all the entries containing any reference to the slave experience in relation to Sherman’s army. He was not selective and allows the subjects to speak to you directly. As with most things, their opinions differed. Some had good experiences and saw the Yankees as liberators, while many others had negative experiences and feared and disdained the Yankees as much as the white people did. Of course, there were numerous neutral experiences too. 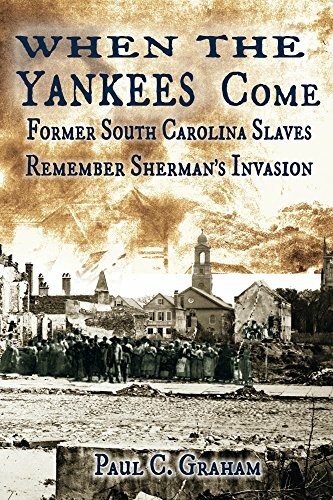 This volume is a great addition to any historian’s bookshelf or Kindle, especially South Carolina or the Southern experience in the war. I have long been familiar with the memoirs of Arthur Fremantle of his time observing the Confederate army in 1863. I have used various parts for research, but had not read the whole thing, so when I ran across this audio version, I jumped on it and wasn’t disappointed. The narration by Michael Page is smooth and clean; British accent, but quite easily understood by American listeners. The Fremantle diary is most commonly referenced for the Gettysburg portion, but that is only a scant part of the narrative. I many ways the most interesting and vivid parts come earlier in the book. 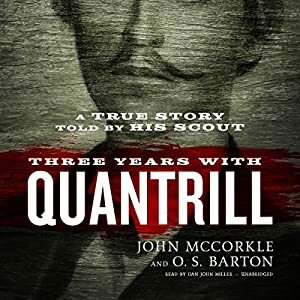 Fremantle’s entry into the Confederate States of America through Texas and his observations of matters with its border with Mexico are fascinating. The author’s talent for understatement provides a great amount of amusement along with the detailed description of the state of affairs in that remote corner of the newly founded country. To have just shown up unannounced with little more to speak for him than his pedigree in the British army, Fremantle manages to witness several events of great historical significance and meet many notables in both the South and the north. 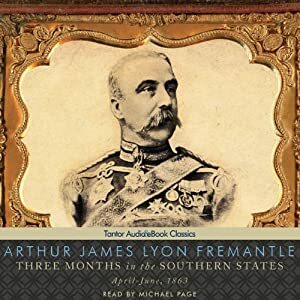 Like most British, Fremantle was avidly anti-slavery, but like many Europeans who found themselves in the South, he quickly decided that the situation was not nearly as two-dimensional as he was led to believe. His observations are startling. “Three Months in the Southern States” is a valuable resource and an eye-opening read. Page’s wonderful narration makes the visualization all the more powerful. Every Longmire book by Craig Johnson that I read seems to outdo the last and “A Serpent’s Tooth” is no exception. As Craig Johnson has often discussed, this book explores the dark underbelly of cults. When a homeless teenager shows up in Walt Longmire’s county, the sheriff soon finds himself dealing with more than meets the eye. The boy is a cast off from a polygamy cult where an excess of male children soon become a liability. Naturally there are more twists and turns and – of course – a murder, thrown in. As with his other books, just when you think you have it figured out, you soon find that you are wrong. Hang on to the end, it is well worth the ride. 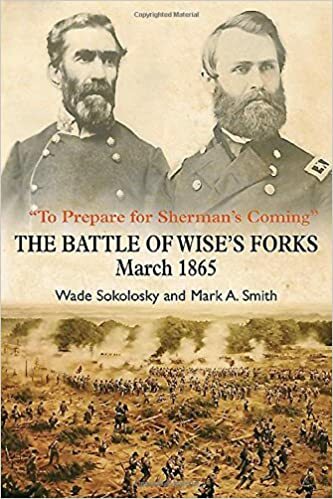 “To Prepare for Sherman’s Coming: The Battle of Wise’s Forks, March 1865” walks the reader step by step through one of the most important, yet little known battles in North Carolina. Beginning March 8, 1865, Union General Jacob Cox squared off with the forces commanded by Confederate General Braxton Bragg. The fighting dragged on until March 10. Wise’s Forks was one of the largest battles fought on North Carolina soil, but has been relegated to little more than a footnote in the history of the Carolina’s Campaign. In the end, Wise’s Forks was largely a delaying action. Meticulously researched, the pages of this book carefully reconstruct the events of those days. Sokolosky and Smith provide such detail that the reader will want to read all the footnotes to avoid missing any of the great material within. This book provides an intense study of Wise’s Forks impossible to find elsewhere. Any serious student of this war should read this. This weekend I got the opportunity to check out a couple of movies I had been meaning to see. Hacksaw Ridge and Sully. I don’t usually review or write about mainstream movies, but I really enjoyed both and wanted to jump in with a few observations. 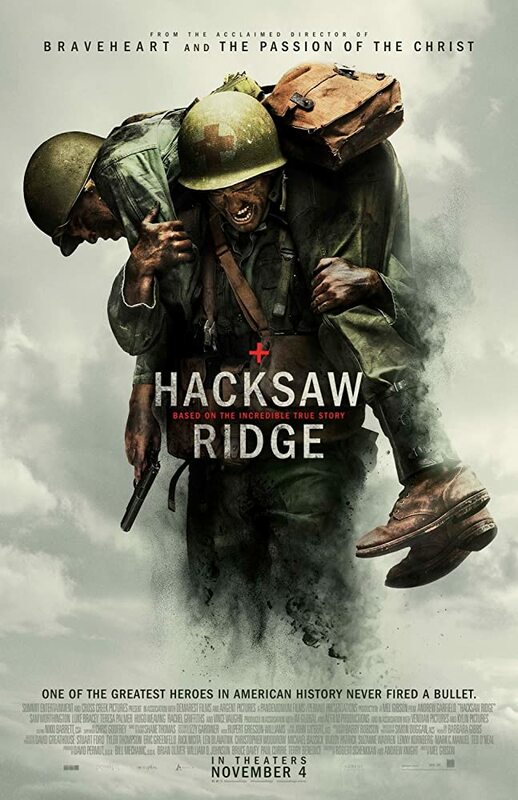 First, Hacksaw Ridge is a very intense movie, but of excellent quality and very moving. Andrew Garfield should be a top contender, if not a shoe-in for the Best Actor Oscar. In fact, it should be nominated in every category. All reason for the R rating is due to the intensity of the battle scenes, which are quite realistic. Everything else is completely in line of what was appropriate for the time and military setting, so most content is either PG or PG-13. As deserving of awards as this movie is, there are three things that Hollywood and the Academy hate in a movie that will hurt its chances: Christian content, pro-American content and Mel Gibson. For all his idiosyncrasies, Mel Gibson is a top-notch director and this movie more than lives up to that legacy. I have compared the story to the documentaries and judge this to be about eighty to ninety percent historically accurate. It tells the story of Desmond Doss, a man who disliked the label that the government insisted on laying on him: Conscientious Objector. Despite his refusal to kill or even touch a weapon, Doss believed in the war effort and wanted to do his part by enlisting in the U.S. Army. He insisted on becoming a medic and managed to navigate the rules and politics to get his way of carrying a medical kit into combat and – unlike other medics – no firearm. His courage on Okinawa leads him to save about seventy-five soldiers from death and win the Congressional Medal of Honor in the process. I also managed to get a last chance to catch Sully on the big screen at the local discount theater. Tom Hanks does his usual great job and portrays Captain Chesley Sullenberger in a superlative way. Clint Eastwood directed this fine dramatization of the Miracle on the Hudson where Capt. “Sully” Sullenberger set his US Airways flight down on the Hudson River in what is probably the most successful water landing in history. All 155 people on board managed to leave the river alive. The movie is very well done and Capt. Sully stands by its accuracy. The one thing that had the Hollywood touch was the dealings with the NTSB, which Eastwood portrays as being overly harsh on Sully. The NTSB, I have read, was quite upset about this and feels that it was an unfair portrayal. In truth, there are three things to consider here. One is that they were reported to have been more routine and less personal than is portrayed. Two is that what spread out over fifteen months was tightly compressed in the movie which added to the seeming harshness. Lastly even if the investigation may seem harsh, the NTSB would not have been doing their jobs in providing for the public safety had they not entertained every angle in examining this incident. 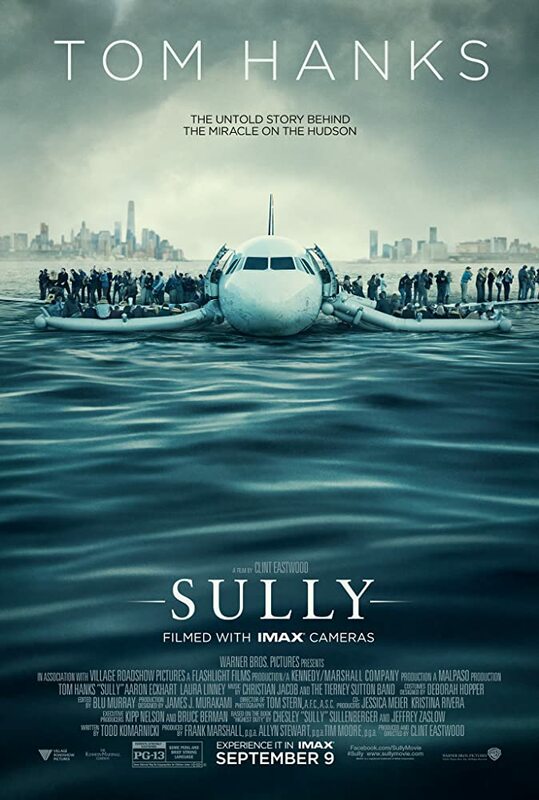 Sully is a quite enjoyable movie and one that I plan to see again. From time to time, I will revisit my past books on the online outlets to see if there is any activity and am always gratified to find a new review. This fine review (5 stars) copied below is for “The Boys of Diamond Hill: The Lives and Civil War Letters of the Boyd Family of Abbeville County, South Carolina,” a book I am very proud of and was thrilled to have won a gold medal for history from the Military Writers Society of America. I appreciate the reviewer taking the time to share his thoughts on my book. I approached the writing of this book with a bit of trepidation. In many ways I felt like I was intruding on other people’s lives, and in many ways I was. I soon found out from a number of folks, including descendants of the Boyd brothers, that any intrusion I was responsible for was a good one. Reviews like this one make me glad I wrote this book all over again. Now, if only my readers will begin to do the same for “Echoes From Gettysburg: South Carolina’s Memories and Images” so others will also discover it. For those of us fortunate enough to escape going to war, this book provides a glimpse into the horror and tragedy that is always a part of war. The letters to home from members of the Boyd family of Abbeville, SC bring home the personal losses suffered by one family, losses that were seen on both sides of this war. I picked up this book because my grandparents lived in the Diamond Hill District in the late 1870s thru about 1915. While none of my known relatives are mentioned, nevertheless, my grandparents had to have been familiar with the stories of this and other nearby families. Most historical accounts of wars are somewhat impersonal, say the view from 20,000 feet. This,however, is the ground level account. It’s easy to become attached to the characters, worry with them about how their families are doing, and grieve when they are lost in battle. Accounts such as this are the only way, short of actually participating, to learn what war is really like. For that reason, I think it provides an invaluable lesson.